while you focus on building your business. 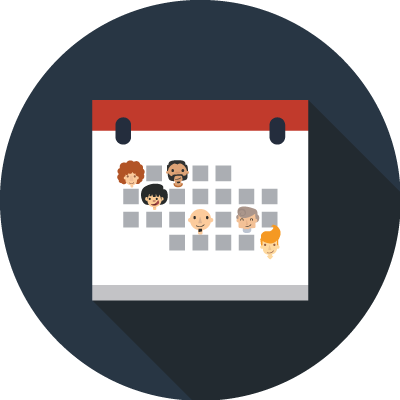 Put a scheduler right on your website to give your clients an easy way to manage their own appointments when you’re in session or just unavailable. Be available for scheduling whenever it’s convenient for your clients but only work when it’s convenient for you. We've got a stellar customer support team that's available via email or phone. Don't believe us? Contact us at 202-753-7351. Manage your web appointments on the go by downloading our smart phone apps from the Apple App Store or Google Play Store. Let clients book with you from around the world. We’ll take care of translating appointment times to their timezone. Your scheduler will walk clients, step-by-step, through the process of booking an online appointment so it’s easy to use for your loyal clients and new clients alike. With downloadable reports, it’s simple to keep updated records on your clients or send them marketing emails. Each client has a unique profile to store their appointment & payment history. Clients can request text message reminders as well as email reminders for any appointment. 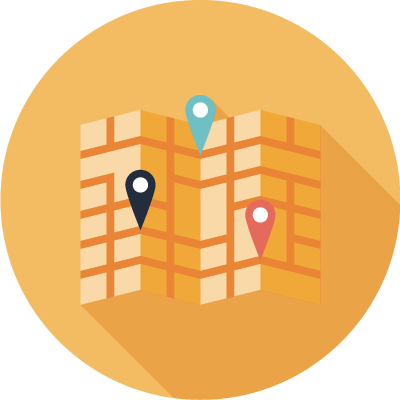 Whether you’re a business with multiple offices or a service provider that goes to clients’ locations, get a scheduler that makes operating out of any location easy. Even if your locations span different time zones, you can manage everything from one account. 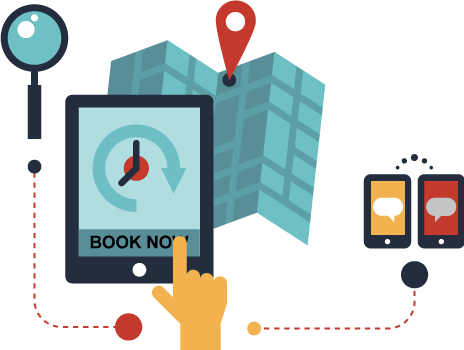 Every location has its own mini booking page you can use to streamline your scheduling. Offer different services at different locations? No problem! Just assign services to a location. How much time would a scheduling system save you? Your team was the only service I tried that would respond to my requests, often in less than an hour. You’ve got a lifelong customer in One Lily! checkAppointments has helped reduce my no show rate by almost 100% because now I take payments upfront, and so pretty much all my clients show up. That really helps me reduce wasted time. It makes it so much easier to get people in for business and appointments. The reminders go out automatically and it takes that worry off my mind. I'd say that 99.9% of my appointments are booked online which is a huge time saver! Being on the phone all day would definitely keep me from getting my work done. It’s impossible to focus on growing your business when you’re answering phone calls all the time. Spend less time on admin work by setting up an appointment system for your business, you’ll spend less time on admin work and more time focused on what you do best. Using a free online booking service means confirmations, reminders, and follow ups for your appointments go out automatically via email and text. With checkAppointments, important appointment emails go out at the right time, every time. Try it free for 30 days. 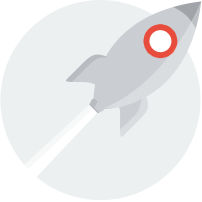 Get stellar customer support from our onboarding specialists to get you up and running.